The search continues for a missing family of four whose car was found miles from the U.S.-Mexican border in a San Ysidro parking lot. No one has heard or seen from Summer McStay mother of four year old Gianni Giuseppe and three year old Joseph Mateo since February 4th. 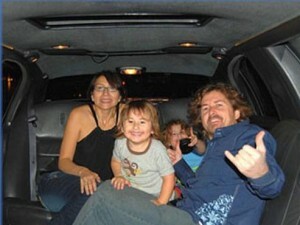 Her kids and husband Joseph McStay had moved from San Clemente to Fallbrook and were in the process of settling in to their 4 bedroom house. The last person to talk to her was Jesi Silveria a family friend when they had a phone conversation on February 4. Two friends had attempted to communicate with the McStays on different occasions and no one responded. Joseph's brother Michael stopped by to find the house empty and contacted police on the 15th. The police found Summer and Joseph's cell phone in the house and refrigerator items left out. Family and friends hope they find them safe and soon. Here is a report from ABC7 KABC-TV Los Angeles.